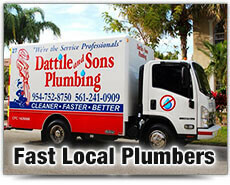 For fast water heater repairs and new waters heaters today, with 24 hour service across Broward or Palm Beach County, speak with the hot water specialists at Dattile & Sons Plumbing. 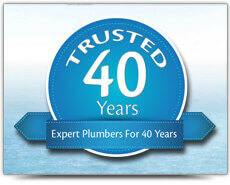 We've been delighting our customers for over 40 years and you can read some of their testimonials here or about our customer service level commitment here. 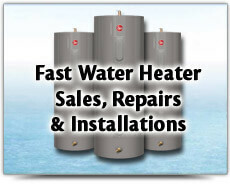 We get to you fast in fully stocked service vehicles to repair your water heater and leave you to enjoy reliable hot water in your home again today. Our water heater specialists can help you choose the right water heater to suit you and your budget and can even show you how you could be saving money with a modern energy-efficient tankless water heater. 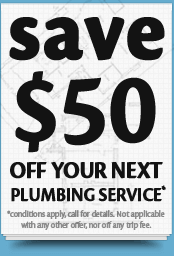 Plus we'll professionally install your new water heater and can even take your old one away. 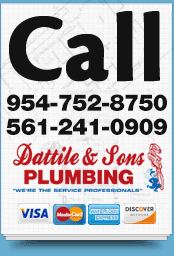 It doesn't matter which brand or model of water heater you have, Dattile and Sons have the expert knowledge and experience to repair it fast and can professionally install any brand or model of water heater. Dattile and Sons can provide expert advice on how to improve your home's energy efficiency and save money on utility bills through energy efficient solutions such as solar water heaters. We provide our customers with the complete per-job price before any work begins – allowing you to make an informed decision. We'll help you choose a new water heater with the very best manufacturer's warranty to suit your individual needs, plus all our workmanship is backed by a signed warranty. As a family owned business, we pride ourselves on providing that personal, friendly touch. 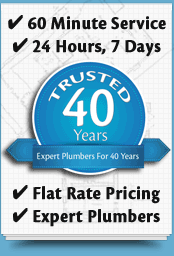 Our plumbers will assist you in any way they can, take time to explain the work and answer any questions you may have and will keep all work areas tidy and clean up any mess upon completion. 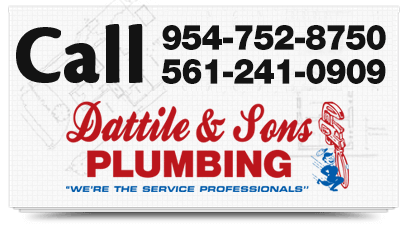 For expert advice, installations, repairs and maintenance for your hot water needs in Broward and Palm Beach Counties call and speak with the hot water specialists at Dattile & Sons today.